Okay, this feels like I’m really moving in now. I start work tomorrow and it’s a lovely bright evening in Bristol. Nice watery smell from the harbour. Train to Newmarket and taxi to Dalham for the beer festival at the Affleck Arms. Grim, dark skies and thunder as we ordered our first pints in the marquee, so Thunderbird for me from Birds Brewery of Bromsgrove. Michael started with an Iceberg from Titanic Brewery of Stafford. We had a short walk around the village in the pouring rain, very pretty with thatched cottages built with flint and with lovely gardens. Met Jon at the end of our walk and had a tour round his thatched cottage and killer staircases. Back to the beer tent for a pint of Mary Jane (Ikley Brewery of Yorkshire) and a Coopers’ WPA from Wickwar Brewing of Gloucestershire. Both lovely and in good condition. The Mary Jane strongly hoppy with Amarillo hops. I moved onto the Dark Cherry Mild, which I must have sold a couple of dozen pints off at the Cambridge Beer Festival earlier in the month. Vit, Jay and Jon arrived, with two friends from London, and not long after the B4’s started playing very loudly. The first half of their set involved a lot of dressing up, wigs and audience interaction sll with with great energy. The second half was a bit more relaxed and instrumental, with some good Queen tribute numbers. Jay arranged a taxi home to Cambridge at midnight. Good night in Dalham. I suspect the village will be a bit quieter this evening. 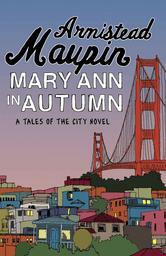 An enjoyable trip down memory (Barabary) Lane from Armistead Maupin. All the old characters from the earlier Tales of the City are still there, somewhat jarringly brought into the new millennium, with Facebook, iPhones and what not. They have aged of course, which is done in a sweet way. The plot is a little contrived at the end, but good fun and a good read.